WhatsApp has finally announced the launch of its video calling feature. 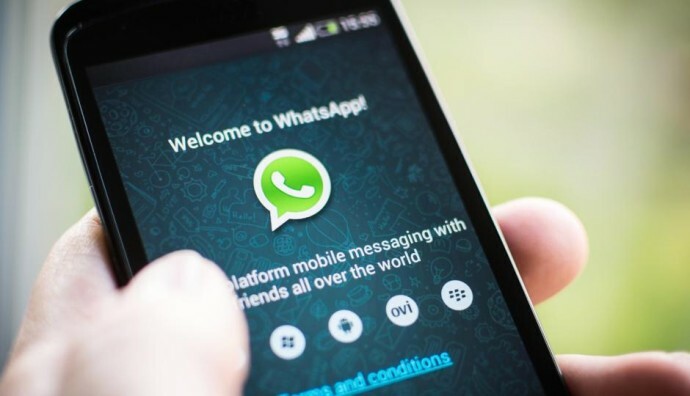 The feature has been available for quite some time now for certain beta testers, but today, video calling is being rolled out for WhatsApp’s billion plus users on Android, iOS and Windows Phone platforms. WhatsApp will now let users make video calls to their contacts over the internet. users will continue to see a call button at the top-right corner of the conversation window. But tapping on it will now pop up two options — voice call and video call. Tapping on the second option will immediately start a video conversation with your contact. The overall UI is quite minimal with a full-screen view of your friend, and buttons at the bottom for ending the call, mute, and switching the camera. On the call log window, WhatsApp differentiates between the type of call by either showing a telephone icon or a camera icon. One of the interesting bits about the new video calling feature is how WhatsApp says it is optimized to work for everyone and “not just those who can afford the most expensive new phones or live in countries with the best cellular networks.” While details are a bit scarce at the moment, the idea could be similar to what is offered by apps like Google Duo. Google’s video calling app works well even in shoddy network coverage areas by monitoring network quality multiple times every second, and then tweaks the video resolution to ensure that the call is not interrupted. The app also has the ability to switch between cellular and Wi-Fi network if needed. WhatsApp, on the other hand, has over 1.1 billion monthly active users placing it far beyond the competition. The overall simplicity and the way WhatsApp uses little data will make it quite popular among users. Above everything though, having all the features on one app is a massive advantage. WhatsApp’s voice calling feature is one such example. It is quite simple to make a voice call to any of your contact on WhatsApp, and it doesn’t use a lot of data either. It is little wonder that in just over a year, WhatsApp users are making over 100 million calls every day.